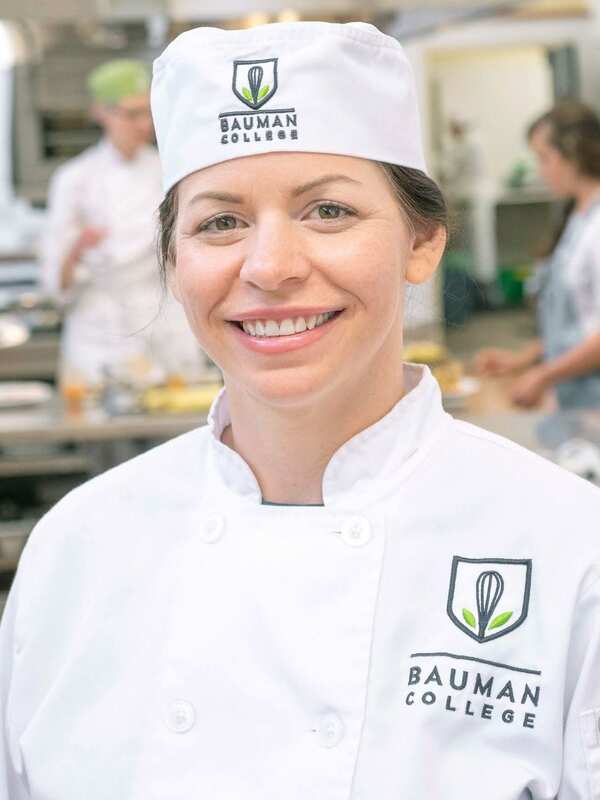 My name is Jessica, and I am a student in both the Natural Chef and Nutrition Consultant Training Programs at Bauman College. Healthy food has meant many things to me over the years. Growing up in Georgia, it meant fat-free cookies and frozen yogurt. When I was working to lose the excess 30 pounds that I carried in my 20s, it meant low-calorie frozen meals and diet soda. It wasn’t until I moved to the Bay Area in my 30s that I began to learn about food quality and sustainability. I remember my first trip to the San Francisco Ferry Building—I was completely blown away by the celebration of food. My view of healthy eating began to slowly evolve into something very different than I had ever known. I was inspired to enroll at Bauman College after my sister was diagnosed with acute kidney failure at a relatively young age. She was living with me at the time, and I witnessed firsthand how specific foods, that I knew to be healthy for me, would make her feel completely wrecked. Without much guidance from her doctors and a real lack of inspiring, kidney-friendly recipes on the internet, we had to get creative in the kitchen to come up with meals that she could eat with the extremely limited amount of ingredients her body could tolerate. From this experience with my sister, I became inspired to help others who may be going through similar health crises and are looking for individualized nutrition support, whether they are suffering from a chronic disease, food allergies, or fatigue from the stress of everyday life. I also want to share that healthy eating can be an enjoyable and comforting experience rather than one filled with stress, avoidance, or shame. The focus on bio-individuality at Bauman College, and the non-dogmatic approach of the curriculum, really resonated with me. I initially decided to enroll in the Nutrition Consultant Training Program for the deep dive into holistic nutrition, but the Natural Chef Training Program kept calling to me. I have always loved to cook, and I knew that the knowledge I would gain would be the perfect complement to my nutrition training. I have been studying both programs simultaneously, and I really enjoy how they reinforce each other. My biggest takeaway so far seems so obvious and intuitive that it’s hard to admit: you are what you eat. We’ve all heard it a thousand times, but the explicit reality of that statement has never really hit home for me until now. Food literally becomes our bodies, from our hair to our toenails and everything in between. The more vitamins and minerals that can be packed into each bite, the better. The most fun and equally valuable technique I have learned so far in the Natural Chef program has been fermentation. The impressive role that probiotics play in the body can’t be overstated. I have been experimenting with making my own sauerkraut and kimchi at home, in addition to fermenting all sorts of seasonal fruits. Fermented cherries are so easy to make and have become my summertime favorite. I was inspired to highlight them in a sweet, after-dinner bite that would aid digestion and keep me satisfied. 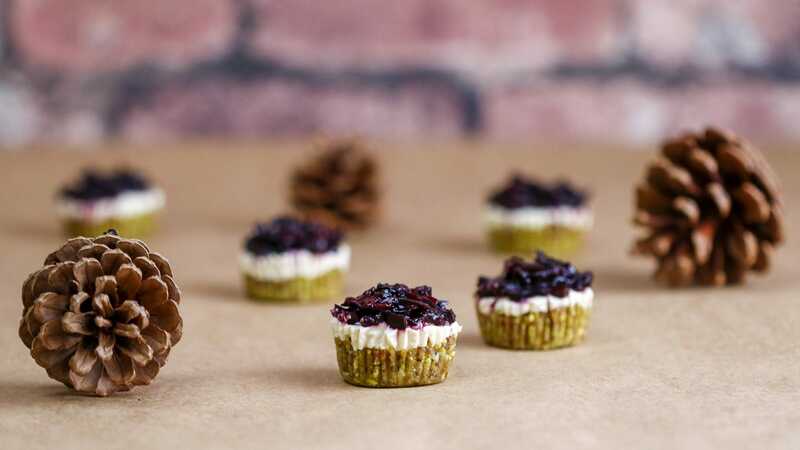 My favorite recipe I’ve created incorporating fermented cherries has been raw tartlets. The tartlets don’t require an oven, which makes them a perfect treat for hot weather. They can be stored in the freezer, then taken out to thaw just before sitting down to dinner. This recipe is raw, gluten-free, and can easily be vegan if the cherries aren’t fermented with whey or honey. Vanilla beans, spices, or almond extract can be added to the fermentation process to infuse different flavors. Combine cherries with zest and place in a wide-mouth pint jar. Pour desired starter—whey, kombucha, or water kefir—over the cherries. Press down gently with your fist to pack cherries tightly into the jar. Heat filtered water enough to dissolve the sea salt and raw honey. If using a starter that contains sugar, omit the honey. Pour water over cherries to cover, leaving about an inch of headspace in the jar. Press down again to ensure all air pockets are filled with liquid. Place a fermentation weight in the jar to keep the cherries submerged completely. This could be as simple as a smaller jar filled with rocks. Cover with fermentation lid or a thin dish towel and rubber band. Allow cherries to ferment at room temperature, away from direct sunlight, for 2–3 days, or until bubbles appear in the jar. If left too long, the mixture will turn to alcohol, which is not the desired result here. The cherries will taste tart and slightly effervescent when ready. Chop pistachios in a food processor until the largest piece is less than ¼-inch. Remove from food processor and set aside. Pulse dates in food processor until broken up. Add chopped pistachios and remaining ingredients and process until the mixture holds together when pressed between your fingers. Be careful not to over-process, as this will lead to a sticky and oily crust. Add all ingredients to a high-speed blender and blend until smooth and creamy. Taste and add more salt, maple syrup, and/or lemon juice as needed. Line a mini-muffin tin with paper liners and press about 1 Tbs of crust into each liner. It should be about ¼-inch thick. Pour filling into each cup, leaving space at the top for the cherries. Place in the freezer until set, about 30–45 minutes. Meanwhile, chop fermented cherries. 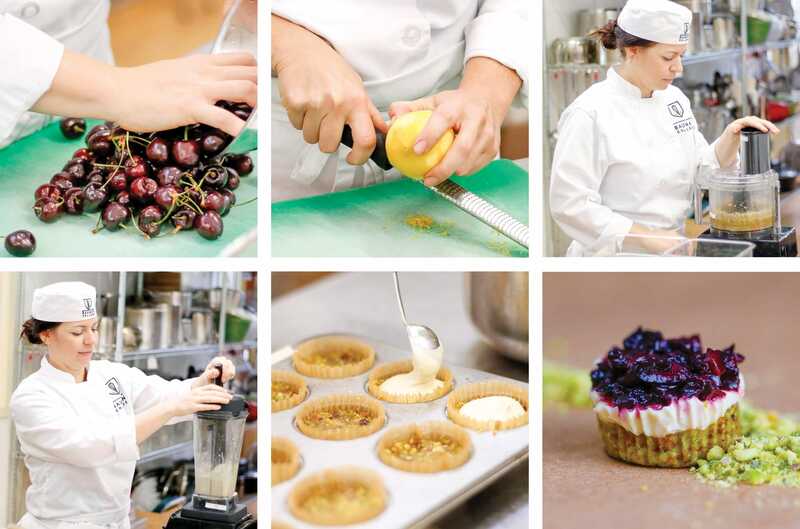 Top each tartlet with fermented cherries, cover, and return to freezer for at least 1 hour to set completely. Serve and enjoy!